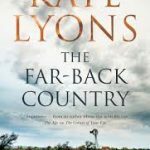 Australian Recent Release: The Far-Back Country by Kate Lyons. The Far-Back Country tells the story of Ray McCullough. After an altercation with his father, seventeen year old Ray ran away from home, leaving his whole family behind. Now forty-one and living in the remote outback of New South Wales, Ray lives his life in solitude, certain that he has inherited his father’s violent tendencies. When a body is found in a country pub, along with Ray’s identification, his sister Ursula thinks she can finally stop looking for him, a search that has consumed most of her adult life. But after she collects Ray’s belongings she begins another search, a search to understand who her brother became and why he ran away all those years ago. The Far-Back Country is moving novel about the nature of memory, mistaken identity, and how the very idea of family can play a role in defining us. Tasmanian Classic: Quickening by Sarah Day. If you are seeking some poetry to warm these winter nights, look no further than acclaimed Tasmanian poet Sarah Day’s collection, Quickening. Day’s writing is elegant in its simplicity and achingly poignant. Highlights for me include Children’s Ward, Leopard at the Zoo and Night Train. 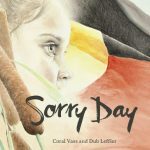 Kids Recent Release: Sorry Day by Coral Vass and Dub Leffler. 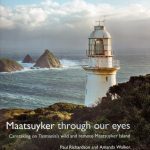 Maatsuyker Through Our Eyes, by Paul Richardson and Amanda Walker.